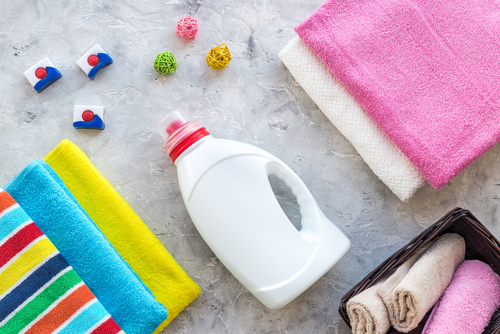 Enzymes have become an extremely popular additive to detergent, allowing them to perform the function of cleaning clothes better than ever before. 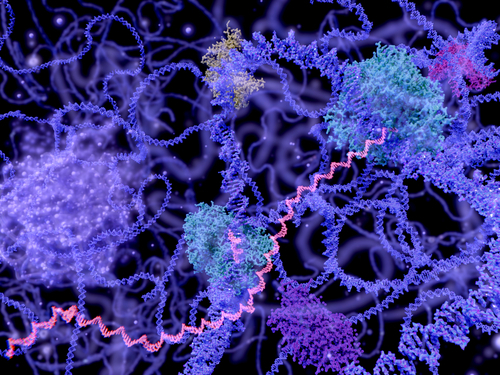 What are some of the prevailing ideas about enzymes, and how does the public view detergent enzymes and biological laundry detergents in the 21st Century? By examining real studies, we highlight the scientific standpoint on biological detergents and take an honest look at the market. Firstly, many consumers know that bio detergents provide great cleaning results. Essentially, the combination of enzymes and soaps, when set to the right temperature, can provide stunning results with vibrant colors and bright whites. Enzymes are naturally occurring molecules found inside all living organisms. Their role is to catalyze chemical reactions, and they do so by either joining or separating molecules. 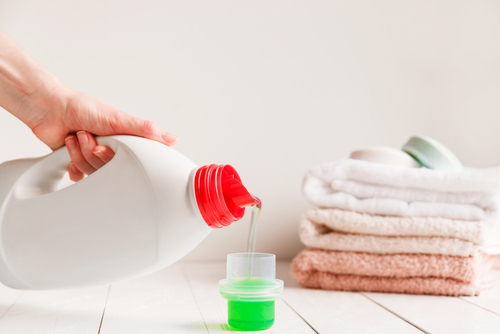 Enzymes in detergents typically break down larger molecules in stains, leaving two smaller molecules that are soluble in water which are then rinsed out during a wash. Different enzymes only act on specific molecules, known as their “substrate.” This is valuable in detergents and washing powders because the correct enzyme mixture will only target molecules in stains, rather than those that form the fabrics of clothing or linens. People also understand that biological detergent can–and in fact should only–wash at lower temperatures than non-bio, often with even better results. Being able to clean at a lower temperature is a big draw for consumers looking to save energy costs. The reason biological washing powders and detergents act more efficiently at lower temperatures is that enzymes require an optimum temperature to function efficiently. Since enzymes are proteins, high temperatures cause them to denature and lose function, just as an egg turns white when cooked. For this reason, laundry detergent enzymes function better at lower, more energy-efficient temperatures. This saves costs and is an effective marketing point for many products that contain enzymes. Naturally, there are some prejudices against biological detergents as well. Most commonly, people associate enzymes in bio detergent with itching. However, this is often a misconception. Perfumes are a much more likely culprit behind irritation in detergents than enzymes. Furthermore, people might suggest the problem is worse for those who have an existing skin condition or particularly sensitive skin. When taking a look at what the science says about biological laundry detergent enzymes and the effect they might have on skin, it’s important to consider all the facts and ask whether public opinion is in line with scientific knowledge. One study, published by the British Journal of Dermatology in 2008, directly acknowledges that enzymes of bacterial or fungal origin, such as those cultivated for detergent and other industrial or agricultural purposes, can cause allergic reactions in the lungs. Additionally, proteolytic enzymes have the potential to irritate the skin, eyes and throat. However, that only applies to enzymes in their raw state. Despite this, the review finds no evidence of any harmful effects to skin from bio washing powders and detergents. It goes further in advising doctors not to dismiss complaints from patients as detergent-related. A separate study into the effects of detergent enzymes conducted comprehensive testing on an array of different skins, some wounded or with eczema. Despite the conception that enzymes can be harmful to those with pre-existing skin conditions, again, no evidence emerged that suggested they caused any additional irritation. This finding is particularly interesting as people tend to be highly vigilant for change when switching detergents as they try to assess the effects. This behavior has the potential to cause confirmation bias despite multiple scientific studies supporting the safety of enzymatic detergent. The study does acknowledge the enzymes do have an impact on the skin in very high quantities, but it also makes it clear that even commercial bio detergents don’t reach that level. Enzyme Innovation understands that the customer always comes first, and that people use biological laundry detergents in their everyday life. Encapsulated enzymes are safe for almost all human use. Our company is committed to providing great enzymes that suit the needs of our clients. The science speaks for itself on enzymes in biological laundry detergents, and it is only a matter of time before the savvy consumers realize just how effective bio detergents can be.